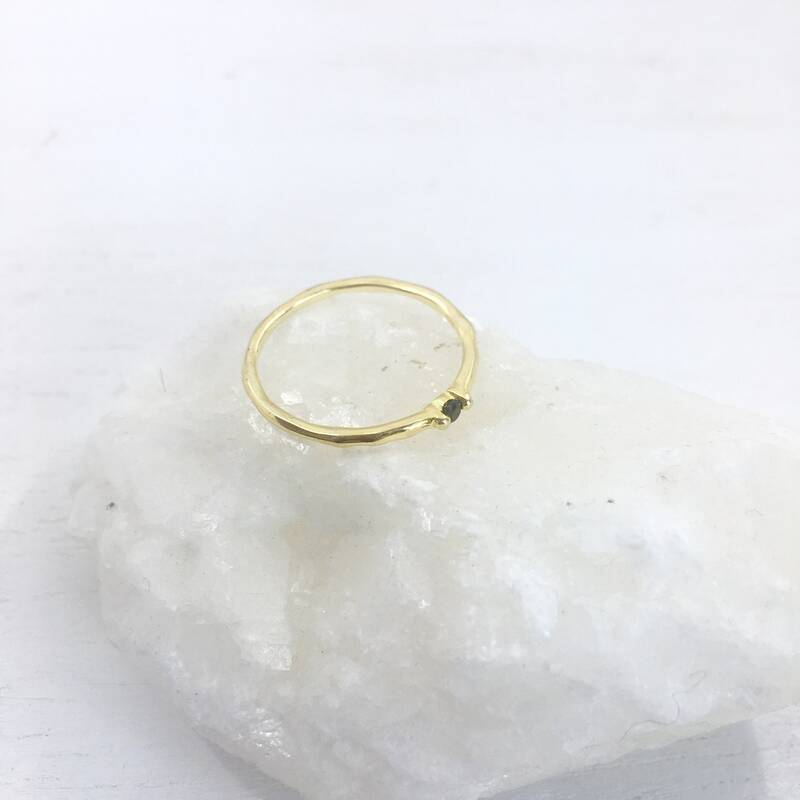 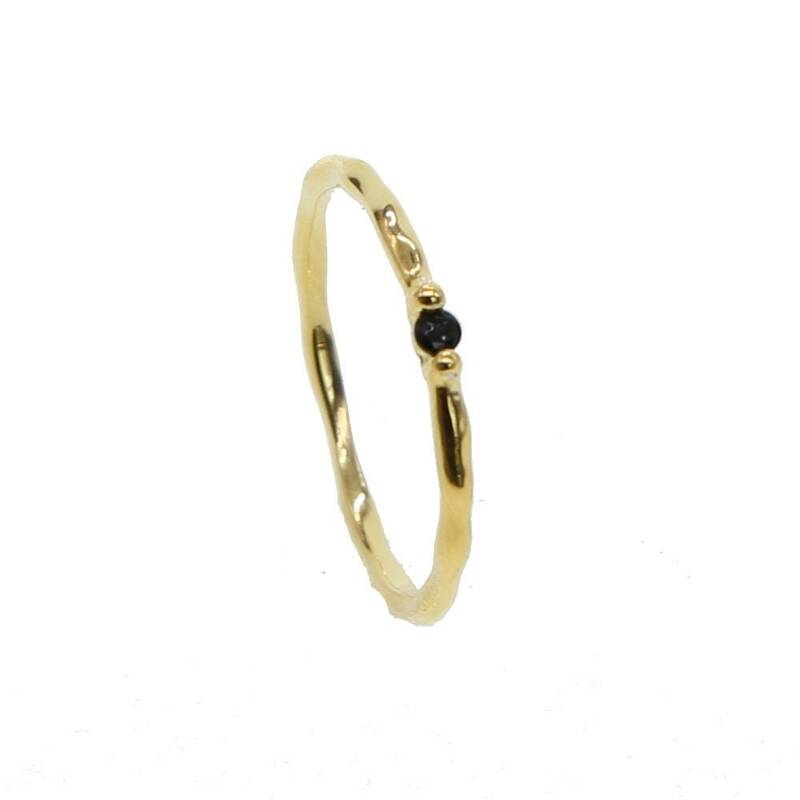 This delicately crafted ring is made of solid Sterling Silver ring with a 18-24K gold plating (1 micron). 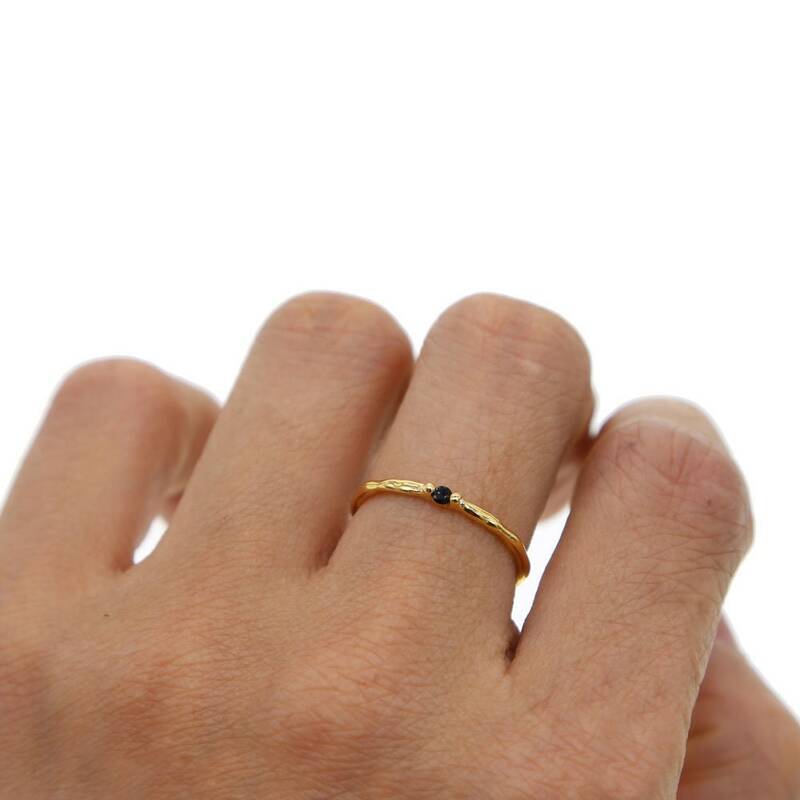 It is perfect for wearing alone or combine it with other stackable rings. 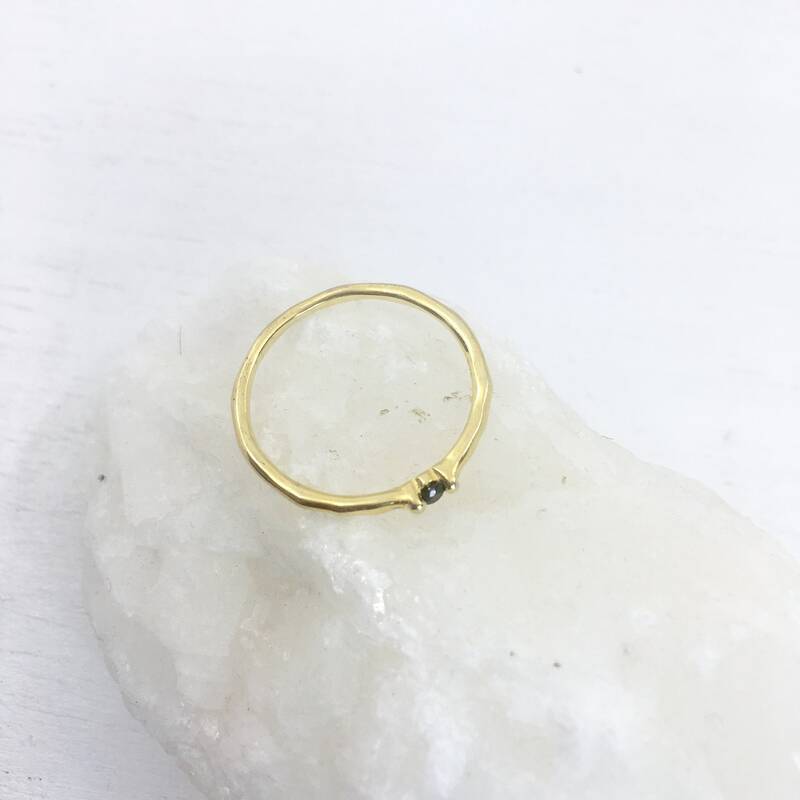 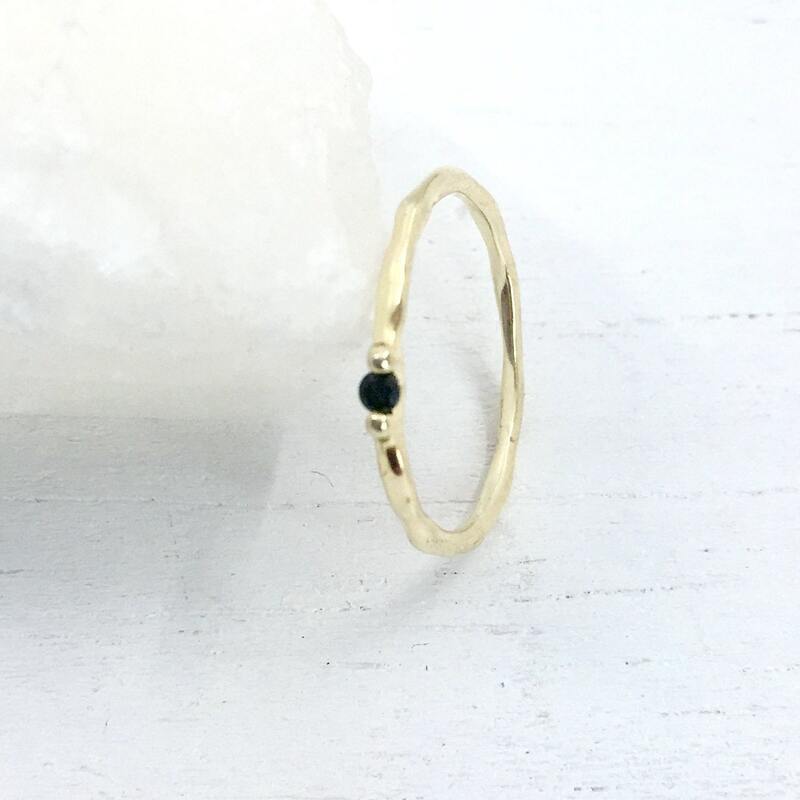 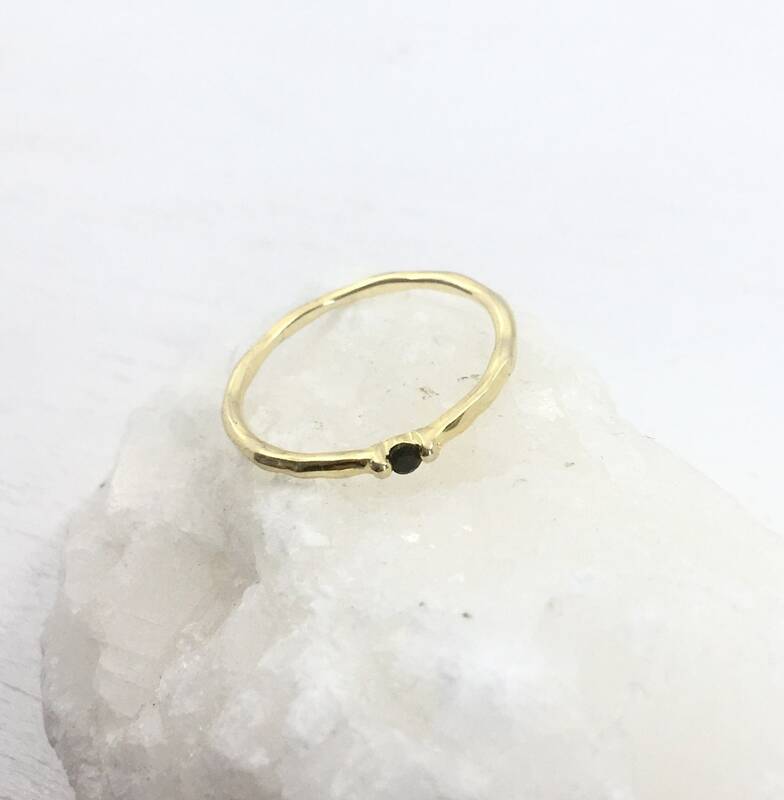 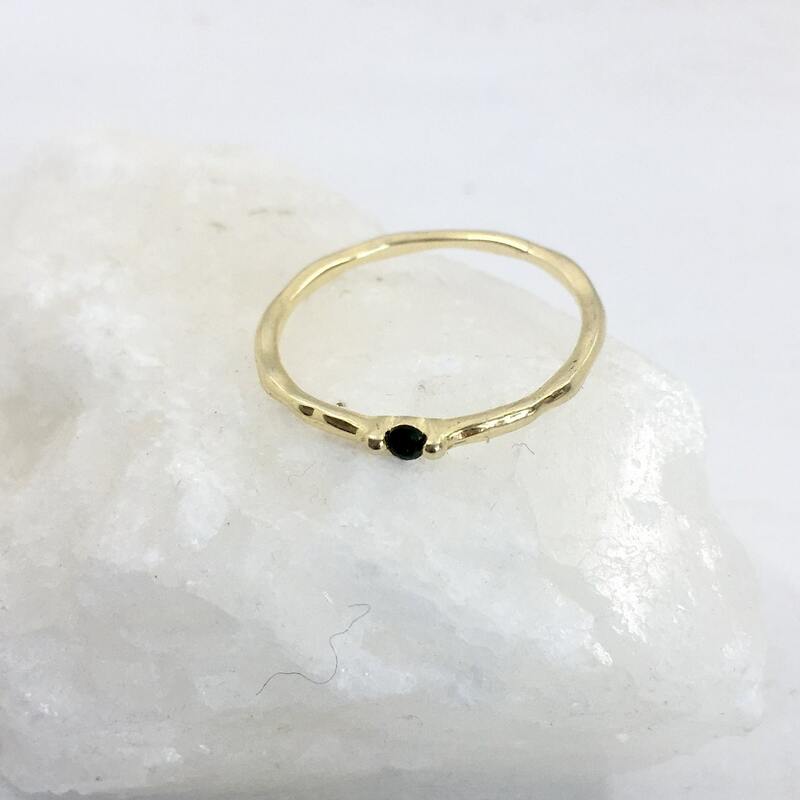 Slightly hand hammered finish, organic texture and tiny delicate black stone.